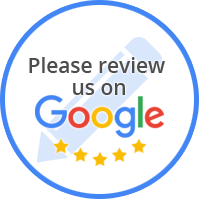 “Troy came out to fix my water heater And he was super professional and explained everything that was going to be done down to the invoice.. finally someone who is honest and prompt! “Troy came in to our home and introduced himself. We showed him the leak at our shower faucet. Then he went right back outside to the pressure gauge that another plumber told us needed to be replaced and tested it. then he worked with a pressure screw, released some of the pressure, retested it to see where the pressure was, then walked back to our master bathroom and showed me that our shower head was no longer leaking , adjusted the shower spray on and off, still no leaking, and the cartridge that we were also told needed to be replaced did not need to be replaced. Paid our $75 service call fee American Home Shield required. After he was finished at our house, I walked Troy across the street to a neighbor of ours to introduce him. I gave her one of Troy's business cards and told her if she had any problems to call Troy. She told him she had been having some problems with her water pressure and he immediately went back to his truck and got his testing equipment to test her pressure for free. Found our her gauge did need to be replaced and showed her why. The cost of his repair was almost $300 less than I had been quoted for our pressure gauge. “I could go on and on about Troy and his team that helped us through our mini-emergency we just had this last weekend. Our sewer issues began on Friday and by Saturday I was calling the home warranty company- I got a huge run around and they referred us to a company out in Gilbert (we live in central Phoenix). That first company didn't even want to call or talk with me on the phone until "the next business day..."
We called the home warranty back and after an hour of waiting and fighting for a different company to be called- Centurion Plumbing was called. Troy is the owner and he is the one that got the call while he was out shopping at 6:30pm Saturday for his wife. We ended up calling him directly and told him the home warranty company gave us his number, he said he could be out to our house within an HOUR and just had to run home first! We were thrilled and in awe that he would give up his Saturday night for us, but we were SO THANKFUL. Troy showed up and saved the day- literally. :) He is super friendly, a veteran, a hard-worker and just an honest dude. He was here for a short time on Saturday and then told us he would have to scope the pipes and possibly dig up the lines to redo and fix the mainline. He explained everything he was going to do and warned us of the worse possible scenario but was also generous in giving us the best possible deal he could. Troy moved his schedule around- worked on a house that was scheduled for Monday morning, on Sunday instead, so that he could be here at our place Monday morning and get the job done. Come Monday, he was here... like he said he would be. He finished the job with his son by the end of the day Monday and we have running water and I can use my dishwasher again- yipppeeee.